The Gujarat High Court has stayed until further orders, the decision of the Government to introduce compulsory voting in the local body election, which is going to be held in October this year. “The 'right to vote' itself provides right to refrain from voting and it cannot be turned into 'duty of voting'” the division bench of Chief Justice Jayant Patel and Justice N V Anjariya, reportedly opined while staying the operation of Gujarat Local Authorities (Amendment) Act 2009. The court today admitted the petition challenging the Gujarat Local Authorities (Amendment) Act 2009, which makes voting mandatory in local body polls in the state that right to vote is an expression of a citizen and whether to vote includes the right to not vote. The counsel for the petitioner, reportedly submitted before the court that the right to vote cannot be termed as the duty by the state and therefore, the provision of compulsory voting Act is violative of fundamental rights given to any citizen under the Indian Constitution. He also questioned the competency of legislature to pass such a law regarding voting. According to him, such laws can only be enacted by Parliament. This amendment to Gujarat Local Authorities Act was passed in 2009 itself. But the then Governor had twice sent back the bill to cabinet for reconsideration. The then Governor was of the opinion that the bill is against the principle of individual liberty. The bill finally got assent from the new Governor who signed the bill in 2009 making it a law. Earlier this month, the government had notified the law saying those who fail to vote will have to pay a fine of Rs 100. After the amendment, Voting is not just a right, but a duty as well. 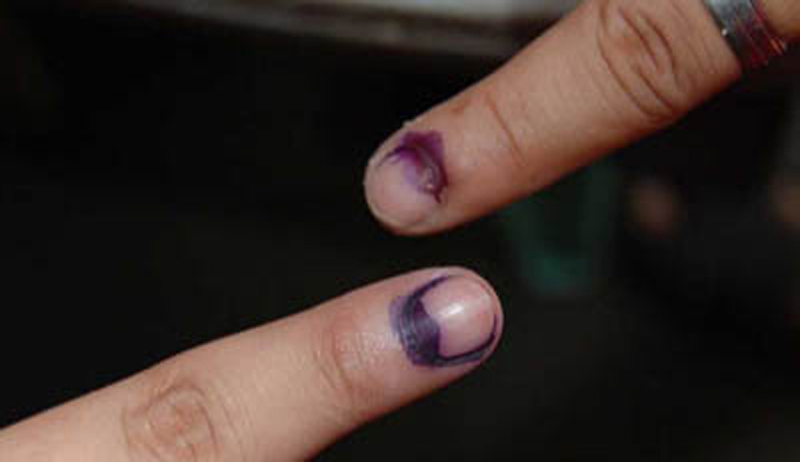 However a voter is free to press the NOTA button if he feels that none of the candidates deserves his vote. The Election officer will declare the voter who does not turn up for voting as a ‘defaulter voter’. However, certain exceptions have been carved out from this compulsory voting. If a voter is physically ill or he is out of station on the day election is held, he/she will be excused. When asked about the fine imposed for not voting, the Government spokesperson had said “This fine is symbolic. But those who shirk voting will have to pay it. However, we have kept the punitive action light”. Compulsory voting system, though criticized for crushing personal liberty, is in place in countries like Australia, Argentina, Belgium, Brazil, Thailand, Greece and some others. In Australia, the voters will be required to provide a valid and sufficient reason for failing to vote or else to pay a $20 penalty. Australian Government portal justifies compulsory voting citing these reasons “Teaches the benefits of political participation, Parliament reflects more accurately the "will of the electorate", Candidates can concentrate their campaigning energies on issues rather than encouraging voters to attend the poll”. In Greece, the civic duty of voting is still considered "mandatory" but there are no sanctions for failing to vote. In Belgium, people aged 18 and over who do not vote face a moderate fine or, if they fail to vote in at least four elections, they can lose the right to vote for 10 years.